Though the sidewalks might be mush much of the time, it’s still cold enough for the city’s ice rinks to open from mid-December and stay glasslike until at least the end of February. The best ice rink in the city features a 330m ‘ice alley,’ and is just west of the Old Town in Jordan Park, which combines nicely with a trip to the nearby National Museum (home to Leonardo’s famous ‘Lady With an Ermine’). This year, two other ice rinks are also conveniently located alongside attractive opportunities to take in some culture. Origo Ice Rink in Podgórze not only offers food from the Zabłocie 13 restaurant, but is also within easy walking distance of Schindler’s Factory. Though some would assume winter is the worst time to visit the stark, grey social realist monoliths of Nowa Huta, we would argue the opposite. Winter only amplifies what makes the area interesting in the first place (its bleak severity? 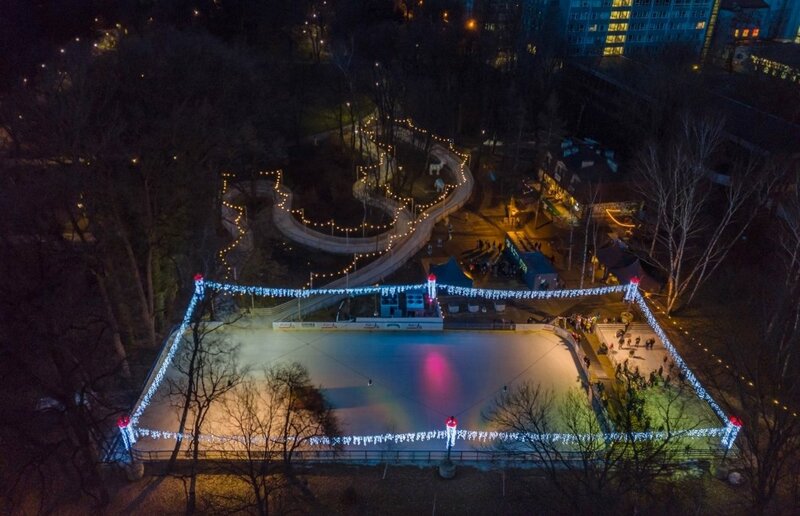 ), and the seasonal ice rink outside the Nowa Huta Cultural Centre only makes a wintry visit more worthwhile. NCK has it all this time of year - food trucks, ice skating and the incredible imagery of Zdzisław Beksiński (we’re fans). e of Kraków’s most idiosyncratic Christmas traditions is the popular creation of 'szopki' or 'Christmas cribs' as they are somewhat oddly referred to in English. 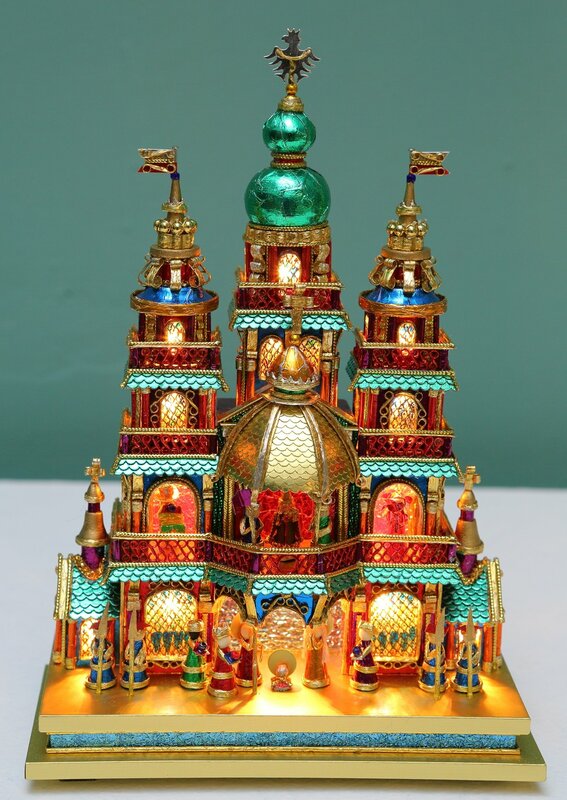 Something of a strange cross between a nativity scene, gingerbread house, and dollhouse, these unique structures more resemble colourful, foil-covered castles or cathedrals than cribs, and are the bizarre result of a folk tradition dating back to the Middle Ages. Each year Cracovians of all ages participate in a competition to create the most wondrous szopki, and the best are then put on display in Celestat from early December until late February. Visiting the szopki exhibition is an essential winter tradition for most families in Kraków, so don't miss it. If you're tired of the slush and bustle of the city, few things are more peaceful than a snowy winter's walk in the woods. Only 8km west of the Old Town, Wolski Forest (Las Wolski) is a massive 422-hectare (1042 acres) protected woodland perched over the city, which includes 35km (22 miles) of hiking trails and a cross-country skiing route, but also shelters several places of interest along the routes, including the Kraków Zoo (open year-round), Przegorzały Castle (a mountain-top villa with Nazi secrets, a restaurant and cafe), Pilsudski Mound (a tall man-made earthwork with panoramic views), and the Camaldolese Monastery (a mysterious hermitage on Silver Mountain). For the perfect outing with the kids, we recommend taking a cab (or bus 134 from 'Cracovia Stadion') to the Zoo, and afterwards going on a short hike to the historic Przegorzały Castle for dinner, hot drinks and great views of the valley below. Check krakow.jakdojade.pl for bus connections. 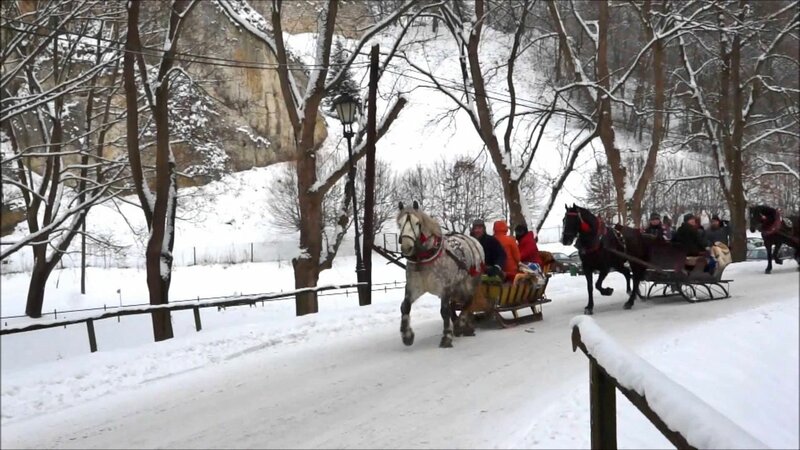 A sleigh ride through Ojców National Park, organised by Ecotravel. The winter alternative of a horse-drawn carriage ride around Kraków's market square, a sleigh ride through the countryside is arguably more magical and romantic, and makes for a great family outing. A traditional ride typically includes a large horse-drawn sled kitted out with sleigh bells and flaming torches winding through the beautiful snow-draped valleys surrounding Kraków and concludes with a forest bonfire, grilled sausages, tea or warm honey vodka. 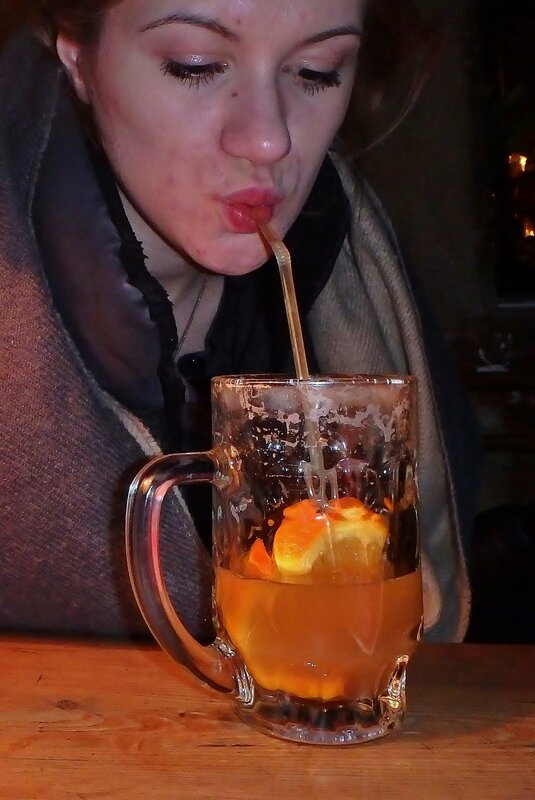 Warm up with Hot Wine or...Beer? 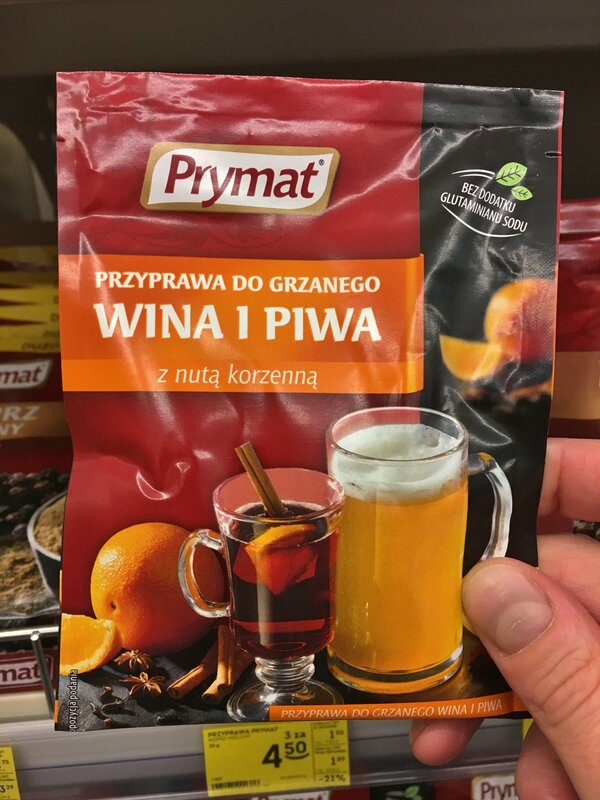 Of all the known methods for coping with the Polish winter, none rewards as much as a mug of mulled wine ('grzane wino'), or a pint of its distinctly Polish cousin 'grzane piwo' - spiced beer heated up in a microwave. The latter can be ordered in most bars during the cold months, and even if you can’t stand the thought, you have to try it at least once in life. Na zdrowie! If it’s absolutely arctic outside, Wieliczka Salt Mine’s steady 15 degrees Celsius should feel downright cosy. 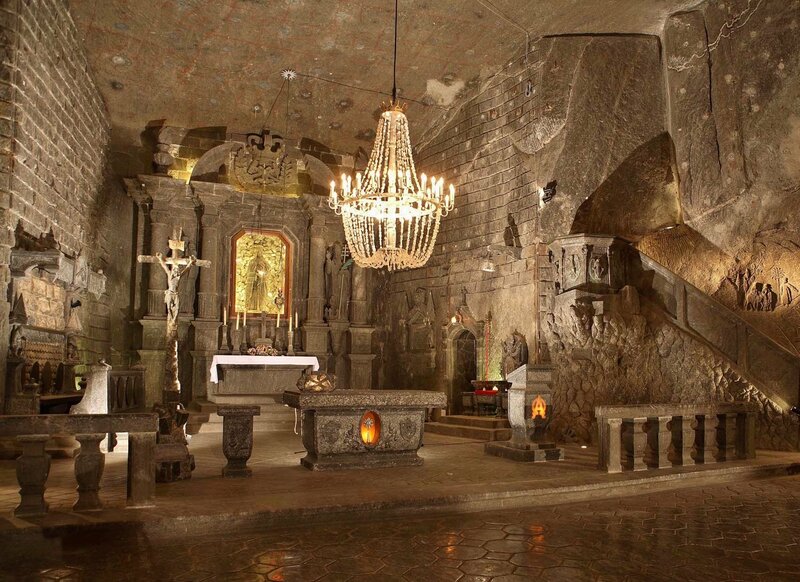 Not only that, but if Kraków’s notorious smog has you feeling like you’ve caught a case of black lung, or under the weather in any way, you might be interested to know that Wieliczka mine's unique saline microclimate is actually celebrated for its health benefits. In addition to being a popular UNESCO-listed tourist attraction, the mine also functions as a full-time health resort with specific chambers and programs dedicated to health treatments, and even the opportunity to spend the night underground for maximum effect. Despite it's close proximity, note that it generally takes 2+ hours to reach the mountains due to poor roads and dense traffic. 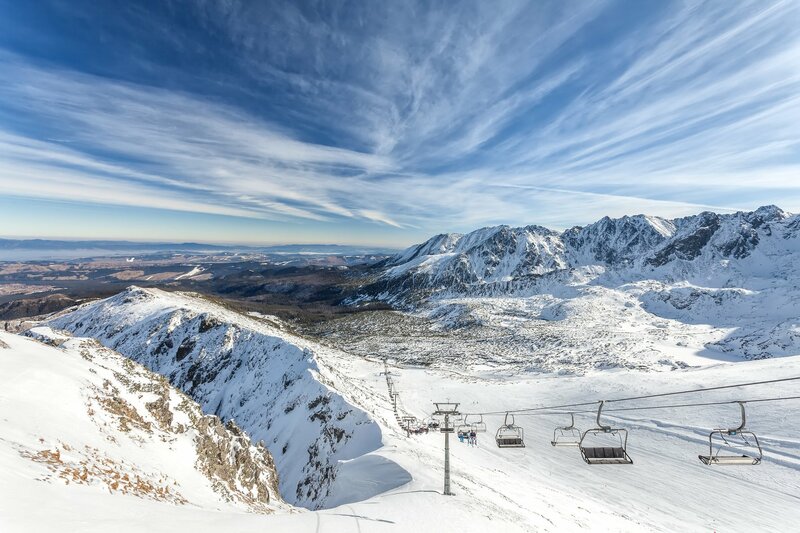 Polish ski slopes are packed all winter long, but on the weekends it's almost unbearable, so we recommend avoiding weekend trips to the mountains if you can. 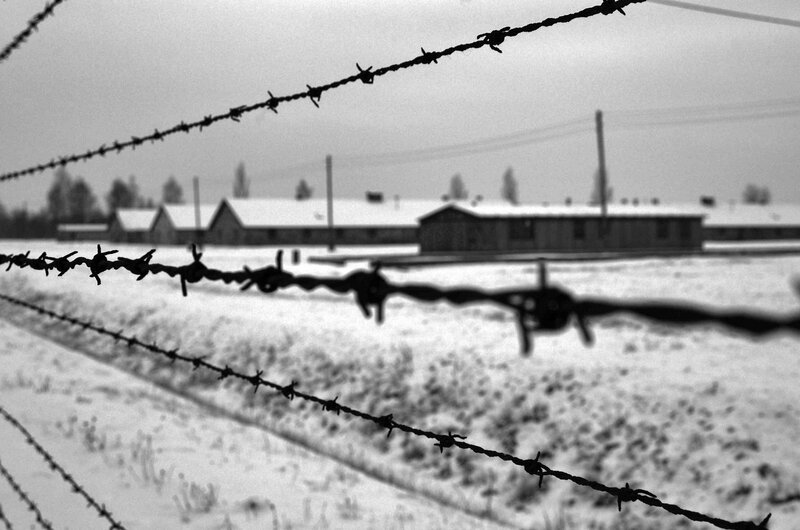 For maximum bleakness there’s nothing that hits harder than a winter visit to Auschwitz-Birkenau. For better or worse, a trip to Auschwitz is something every visitor to Kraków has to consider and there are certain advantages to going in the winter. For one thing, the lower volume of other visitors makes a visit more palatable, with more space for peaceful introspection, and a more satisfying sense of respect for the site’s history. There’s a certain tragic poetry to Auschwitz in the winter that isn’t as powerful in the summer. Winter (or at least the non-tourist season of November 1 - February 28) also gives you the option of visiting on your own, for free, without a guide (though this isn’t necessarily an option we recommend). All told, the weather simply shouldn’t factor into your decision on Auschwitz in the winter; in the summer, it just might. There’s no better place to learn about Kraków’s history, culture and character than its museums, some of which are simply incomparable, while others are a day’s outing on their own. Avoid the elements by exploring the interiors of Wawel Castle, da Vinci’s muse and the diverse art exhibits of the National Museum, or Kraków’s wartime history at Schindler’s Factory. If you’re with the kids, Rynek Underground and the Engineering Museum are proven winners. 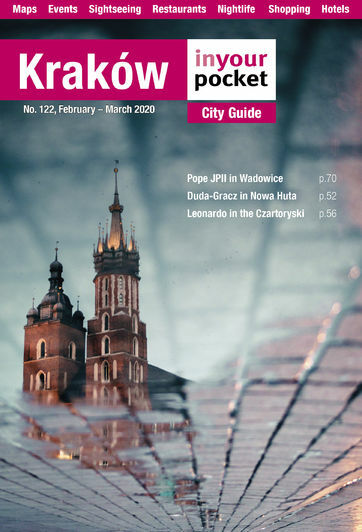 For current temporary exhibits in Kraków's museums, visit our What's On section. There are plenty of fun ways to pass the time inside when the weather’s bad, from water parks to escape rooms; from throwing axes at a target to potentially being the target yourself. Check out Kraków’s top indoor attractions, or if you’re with the kids, find our top recommendations here. Is this a vacation, or what? Why get pelted by snow when you can pamper yourself with a massage, hit the sauna or relax in a thermal bath? This one is obvious, but you may not have considered the fact that you don’t need to speak Polish to hit the cinema. Unlike places such as Russia (ahem), and unlike on Polish television (the worst), Polish cinemas show international releases in their original language with Polish subtitles, not dubbing. The only exception to this is animated films, but even those can sometimes be found in the original language. Kraków is blessed with a surprisingly large number of independent art-house cinemas right in the centre (foremost among them Pod Baranami), which offer diverse repertoires and participate in numerous film festivals; for the latest Hollywood blockbusters, however, you'll have to visit one of the shopping mall multiplexes like Cinema City in Galeria Kazimierz. Enjoy the show!